The simple lines and solid wood construction of Ikea’s Tarva dressers make them ideal candidates for a fun Ikea hack! 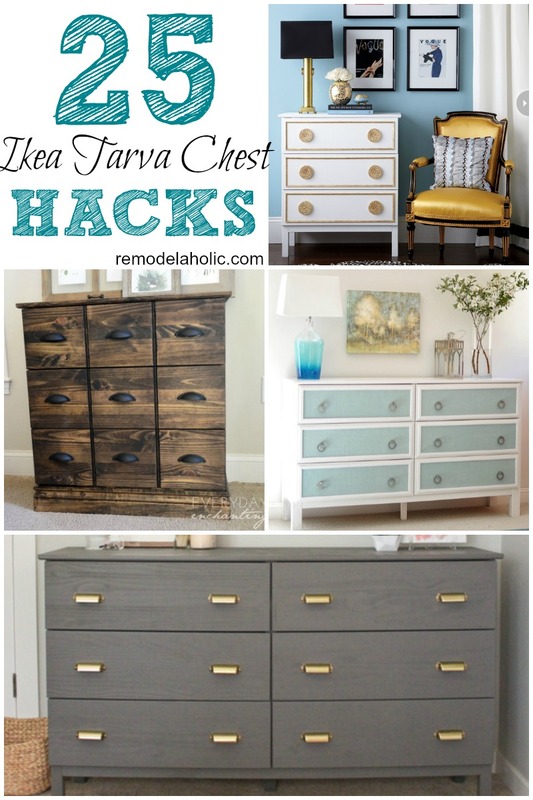 Check out these 26 fabulous Tarva chest hacks and you’ll feel inspired to give one a makeover! The largest dresser in the Tarva series is the 6-drawer chest. See how many ways it can be hacked to be used in all spaces in the home, from the kitchen to the bedroom. These are amazing! One of the many reasons I love IKEA! The nursery one is my favorite! Thanks for sharing!